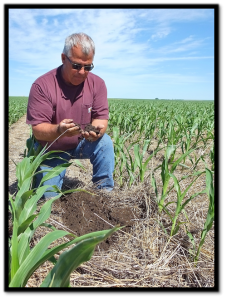 Dan Forgey has been an active member of the SD Soil Health Coalition Board for two and half years, beginning in 2016. He is the Farm Manager for Cronin Family Farm and Ranch on which he helps to run a cow/calf livestock operation as well as 100% low disturbance/no-till management of crop ground since 1993. Additional soil health practices utilized include diversified cropping rotations and cover crops. Forgey has also been a member of the Dakota Lakes Research Farm board for the past eight years. 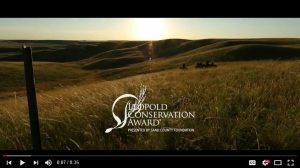 See the story of Cronin Farms & Dan Forgey who are the 2016 SD Leopold Conservation Award Winners. 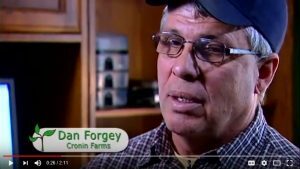 Cronin Farm’s innovative no-till system integrates both cover crops and livestock grazing. With support from SARE, Dan Forgey has found several cover crop mixes that work well for his situation. 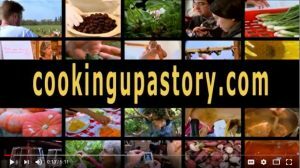 In this companion video, Forgey describes his ongoing research with cover crops, this time looking at how they might be grown in sync with a cash crop of corn. Want more information? 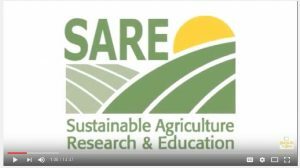 See the related SARE grant(s) FNC06-615, Utilizing Late Season Cover Crops in a No-Till System .